The Dunes range is an evergreen in our collection. 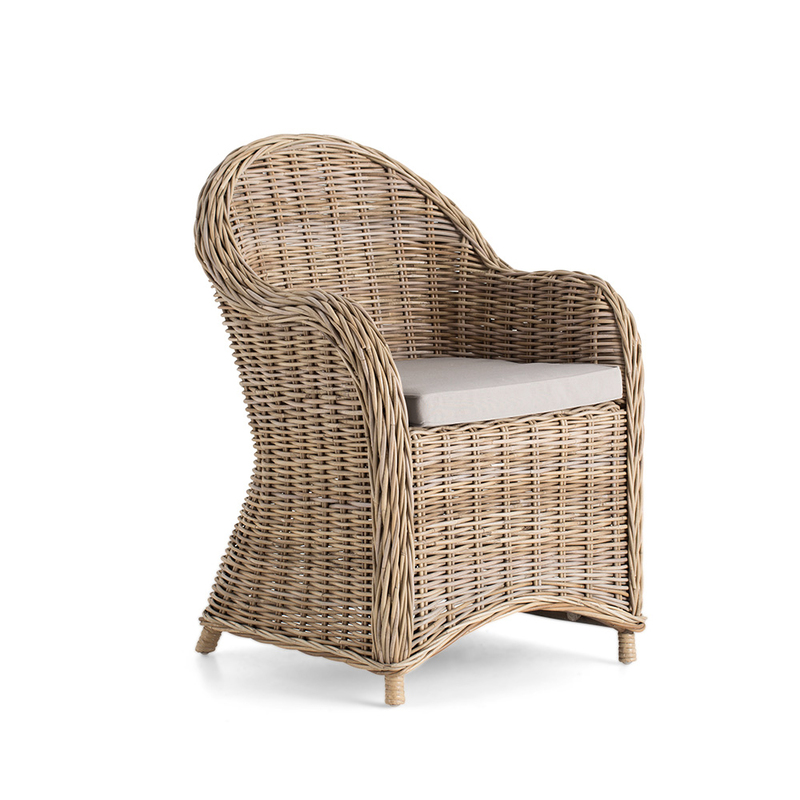 A combination of soft looks and lush material makes this a charming product that brings the garden into your home. 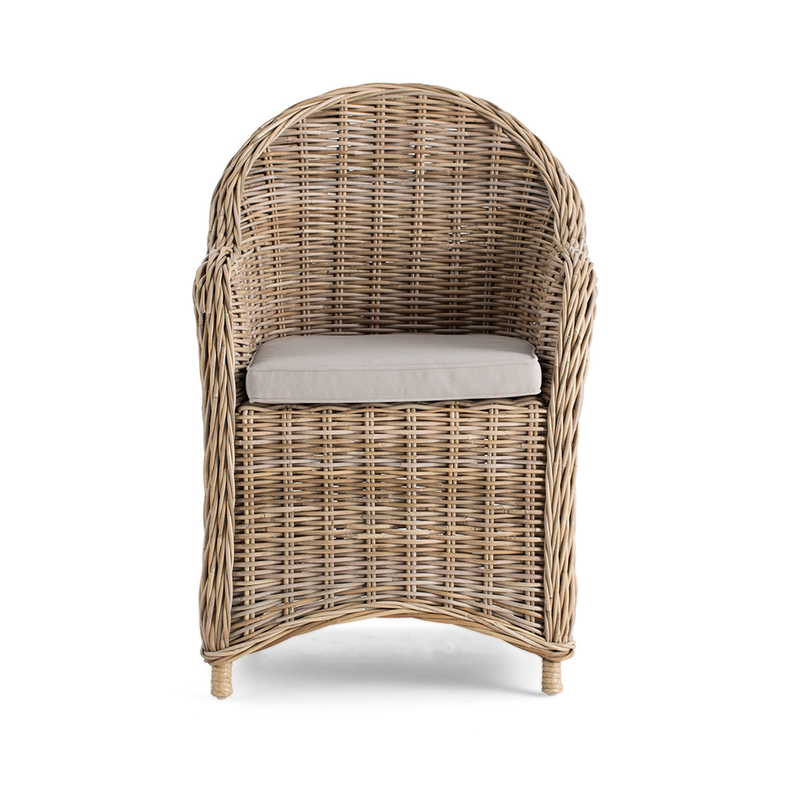 The rattan wicker has a weathered finish for a timeless appeal. Soft natural cotton cushions add to the Dunes collection's pure and natural look and feel. 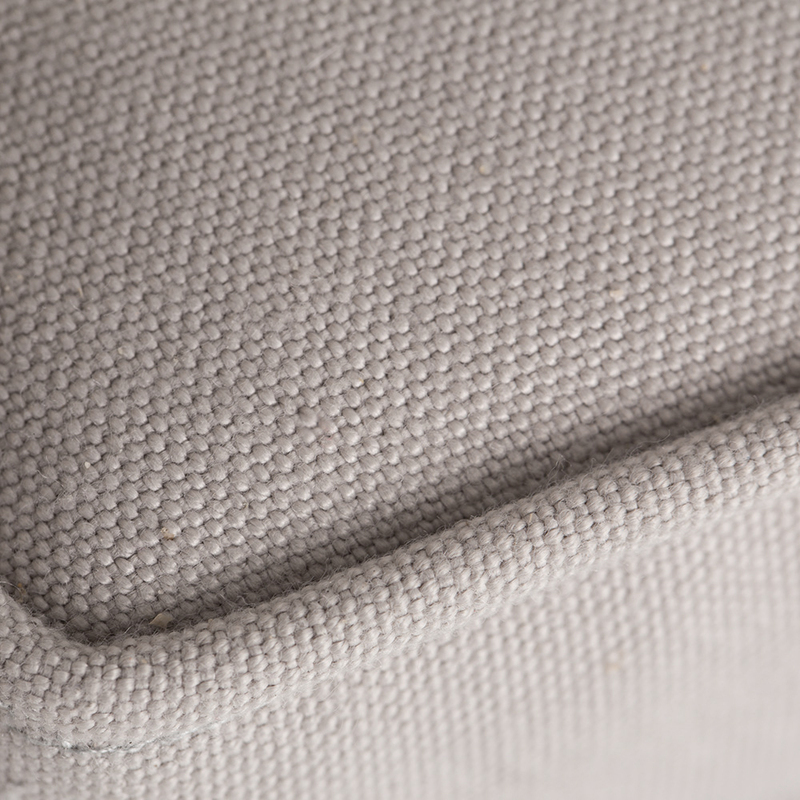 INSTRUCTIONS - As this seat is fashioned from natural textures, the piece is not weather-resistant. It is advised to keep the seat in a roofed terrace where it is protected from weather conditions.